At long last! 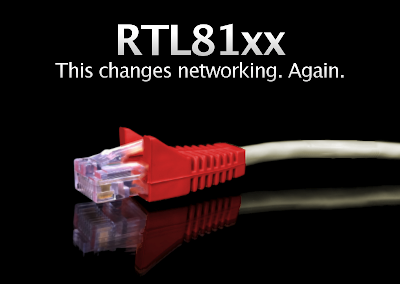 Lnx2Mac has released a new public beta version of his Realtek RTL81xx ethernet driver. It now supports every single Gigabyte 1156/1155/1366 motherboard that uses a Realtek ethernet controller! 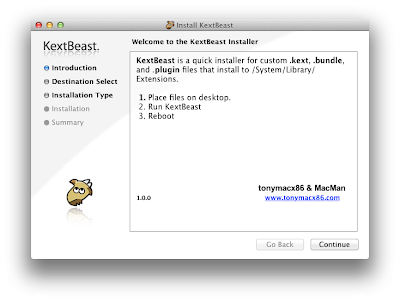 Read all of the details and download the official installer on Lnx2Mac's Blog. 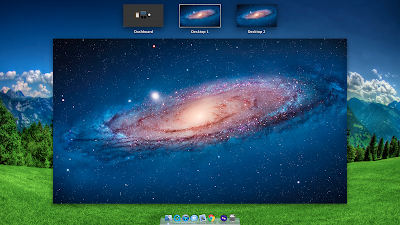 I don't usually recommend messing about with system files and images, but here's an easy and safe tweak for Lion. You know that grey fabric background of Mission Control? You can change it to whatever you like! 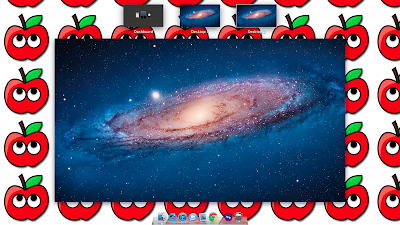 The image file is inside /System/Library/CoreServices/Dock.app, at /Contents/Resources/defaultdesktop.png. It is 256x256 pixels, and displays in tiled format. This gives the illusion of being one big image, while maintaining a small file size. If you edit this image, you're pretty much limited to colors and textures. However, if you rename this image to defaultdesktop-old.png, or delete it, the Mission Control background becomes the system standard wallpaper. 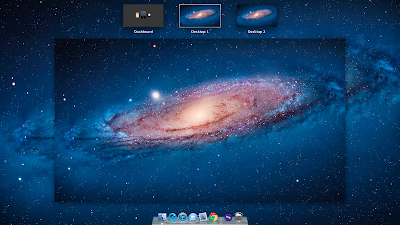 The Andromeda Galaxy wallpaper location is /System/Library/CoreServices/DefaultDesktop.jpg. So, in order to make a full Mission Control background replacement, place your custom wallpaper in this location. Further theming and tweaks can be done to other images in this folder. 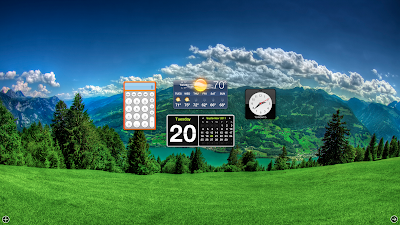 You similarly change such items as dashboard background, login screen, dock background, system preferences icons, and more. Be sure to back up before editing any of these files. Post your results in the Customization area of the forum here. Can't wait to see what you come up with! Update: Just found the location of the Dashboard wallpaper- it's in the same location, but it's a much smaller file called pirelli.jpg. 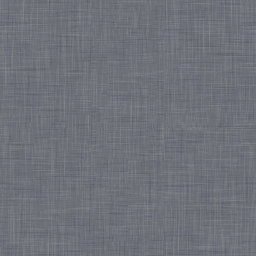 If you rename it in the same way, the default wallpaper is used for the background. 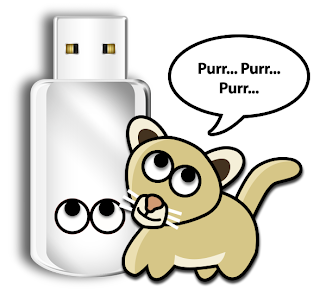 Since the 10.7 Lion USB Thumb Drive became available, we've been inundated with requests for a method of using it for direct Lion installation. To this end, we've made a special new version of xMove. xMove now has 2 options- one for the traditional App Store method, and a new option that allows the USB Thumb Drive to be used to create the Installer partition. Unfortunately, it is proving exceedingly difficult to boot the USB Thumb Drive directly. Because of the layout changes of the media in comparison to Snow Leopard, it's a multi-stage installation process necessitating changes to the bootloader. We are still actively testing and working on a method that will not require access to Snow Leopard 10.6 to install Lion, but there is no ETA for this as of yet. Until then, we recommend xMove + MultiBeast for retail installation. Thanks for hanging in there and good luck! Introducing rBoot, the boot CD that works with Snow Leopard and Lion! It will even boot xMove created installer partitions. Available for download at tonymacx86.com/downloads. No kernel included - boots both 10.6.x Snow Leopard and 10.7.x Lion installations. NOTE: iBoot is still our recommendation for initial installation and booting the Retail Snow Leopard 10.6 or 10.6 3 DVD. Please do not upload or redistribute rBoot to any other sites. If this utility has helped you, please consider a contribution to support further rBoot development. Thanks in advance, and enjoy! NOTE: All DSDTs are verified extracts from the latest BIOS versions. To use on an existing system, download and replace your /Extra/DSDT.aml. For a fresh install, instructions on MultiBeast's UserDSDT are available here. Good luck, and let us know how it goes with these new additions to the DSDT Database! We're super excited about the new support for onboard Intel HD 3000 graphics in Lion introduced in Chimera 1.5! This means is that it's now possible to build a smoking fast Mini-ITX rig without the need for a power hungry, and expensive graphics card! It even has working HDMI Audio! The CustoMac Mini 2011 prospective build is fully compatible with both the iBoot and xMove methods and has a pre-edited DSDT available in our DSDT Database for full optimization. We've included all components besides monitor, keyboard and mouse, as any standard ones will do. You can use these recommendations as a jumping off point for further customization, or as a shopping list. Prices reflect lowest totals available on Amazon as of September 2011, and do not include shipping, tax, or rebates. Oh, and don't forget, if you end up buying anything, click through one of the links above or in the sidebar. That way, you'll be supporting the site, as well as getting the best prices. Thanks in advance! 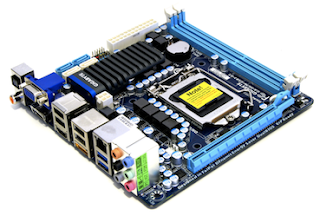 We've recently figured out how to enable HDMI Audio on the Sandy Bridge Intel HD 3000 onboard graphics controller! This is a rather advanced procedure, and requires editing both your DSDT and the audio kexts. If you have a GA-H67N-USB3-B3 and want to test, or aren't up for the challenge, we've included pre-edited files at the end of this article. NOTE: Most Gigabyte H61/H67/Z68 motherboards have Realtek ALC 889, so this guide will use that codec in the examples. 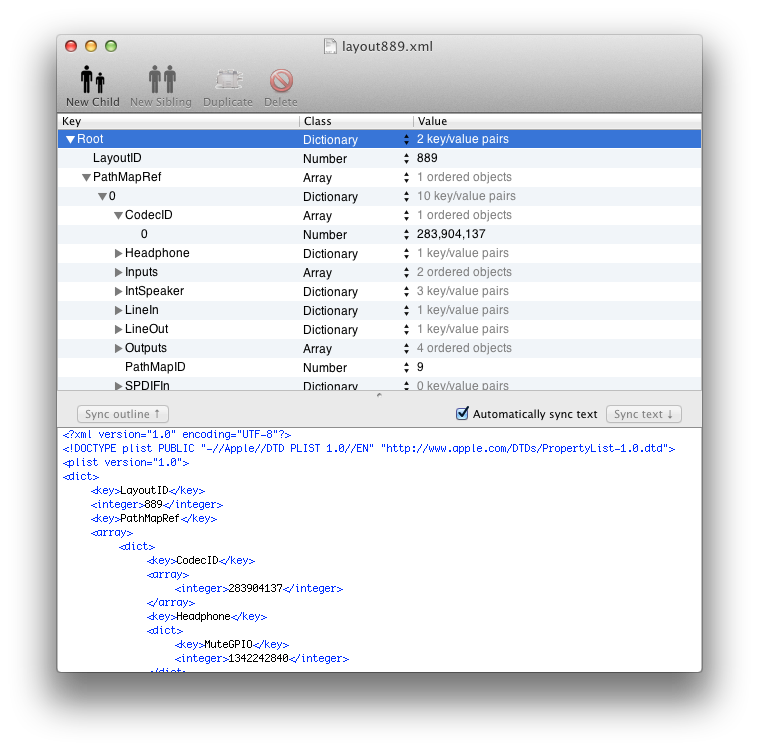 The first step is to add your onboard audio information to the AppleHDA hardware configuration plugin. 1. 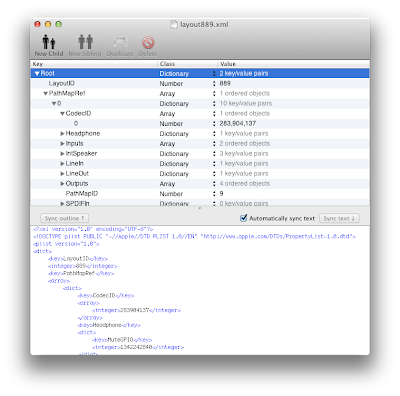 Copy your unedited AppleHDA.kext to Desktop. Make sure it's v2.1.1 or later. The next step is to add codec-specific layout information to AppleHDA. 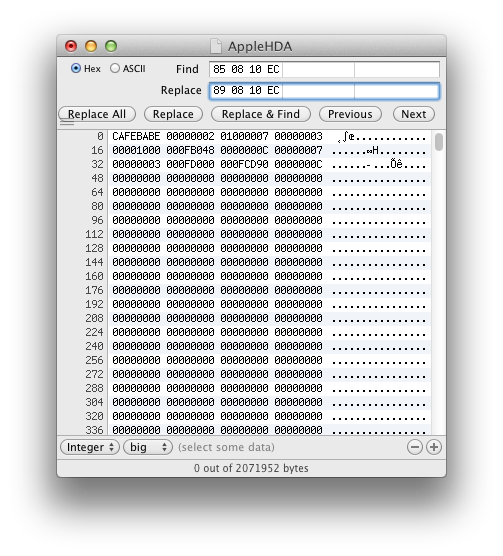 If you plan to use onboard audio in addition to HDMI audio, you must patch the AppleHDA binary. If not, skip this step. 4. Enter 89 08 EC 10 in Replace field. 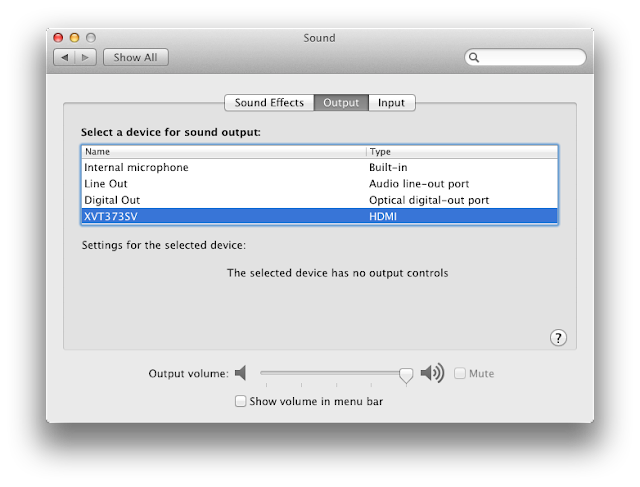 In order for the system to recognize that you want audio from the HDMI port, you have to edit your DSDT. This next step assumes you have already installed a pre-edited DSDT from our DSDT Database. 3. 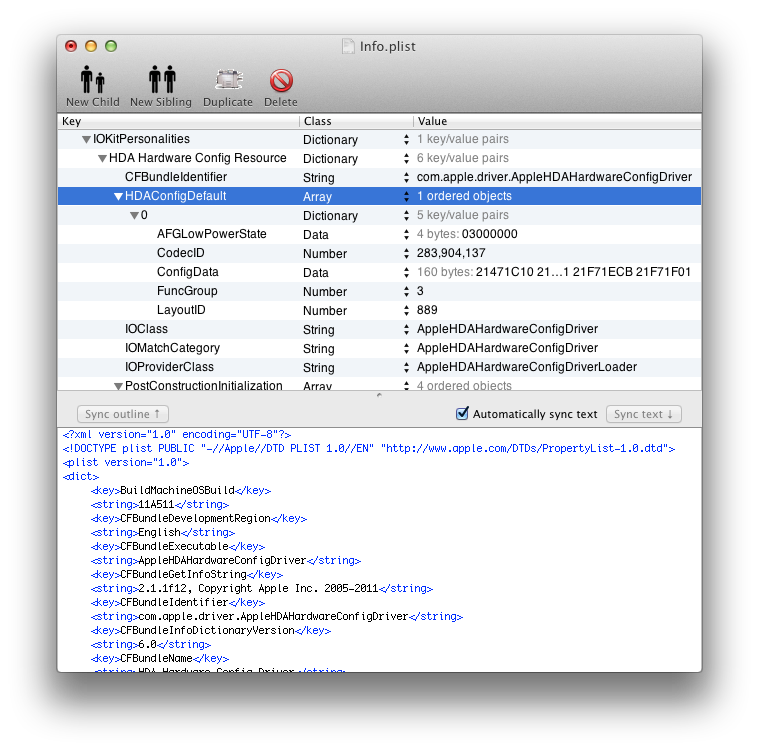 Add "hda-gfx" "onboard-2" code snippet to Device (HDEF) section as shown. 5. 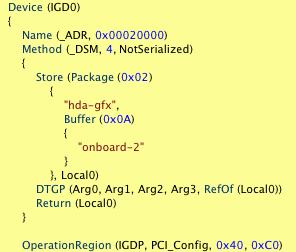 Add "hda-gfx" "onboard-2" code snippet to Device (IGD0) section as shown. 7. 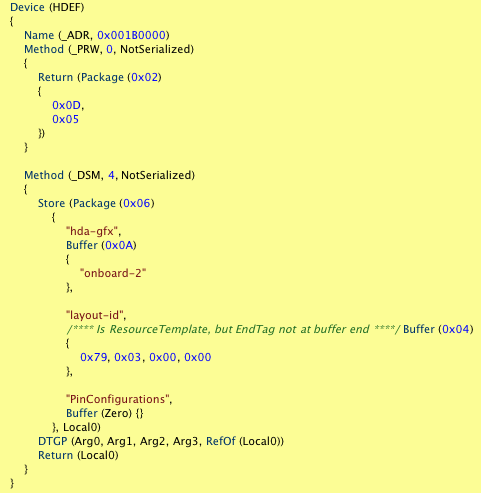 Replace your /Extra/DSDT.aml with the new one. Download and compare your files vs. these verified versons. Reboot system with the HDMI cable plugged at boot. Use the 2nd HDMI slot on the GA-H67N-USB3-B3. Congratulations! You're done! We'll be re-posting a series of guides updated for 10.7 Lion in the HDMI Audio section of the forum in the next week or so. These will show how to enable HDMI Audio on most compatible AMD and NVIDIA graphics cards. Special thanks to toleda for all the testing and research! Today MultiBeast was updated to version 4.0, specifically for Lion. MultiBeast 4.0: Lion Edition is ONLY for 10.7.x. For 10.6.x, use MultiBeast 3.9: Snow Leopard Edition. The latest versions are now available at tonymacx86.com/downloads. Replaced Chimera v1.4.1 r877 with v1.5.4 r1394. 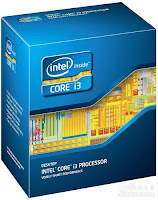 This version adds GraphicsEnabler support for additional ATI and NVIDIA cards along with adding support for the Intel HD 3000 GPU in Sandy Bridge CPUs. Also includes olegpronin's Facetime fix for non-RAID volumes. You need to add SkipFTFix=Yes to /Extra/org.chameleon.Boot.plist when booting from a RAID volume. Replaced JMicron36x SATA with 3rdParty SATA. This new kext supports ASMEDIA, JMicron and Marvell SATA controllers. 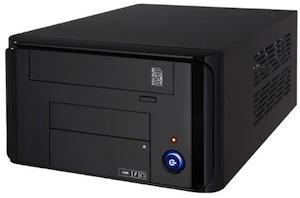 Replaced JMicron36x eSATA with 3rdParty eSATA. This new kext supports ASMEDIA, JMicron and Marvell SATA controllers. Replaced IOPCIFamily Fix with Customization -> Boot Options -> PCI Configuration Fix. Updated EasyBeast to use 3rdParty SATA instead of JMircon 36x SATA. 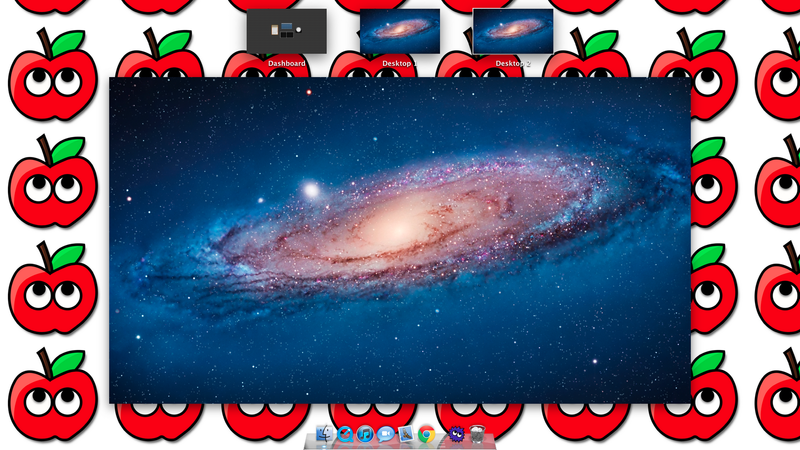 Today MacMan updated Chimera to version 1.5.4 with a FaceTime fix for OS X Lion. 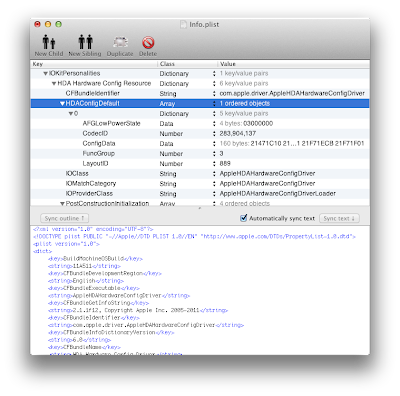 Disables the FaceTime Fix code that is currently incompatible with RAID 0. Thanks to Lnx2Mac for the idea. To read the full list of changes, and detailed explanation behind them, check out MacMan's Blog.